If Quaker values are important to you, consider these prestigious universities. 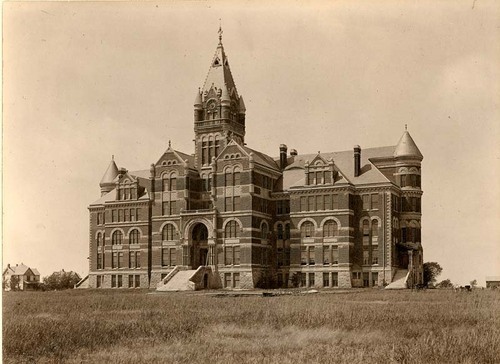 Friends University bought the Davis Administration Building in the late 19th century. The building is still in use today. Some Quaker colleges and universities are among the oldest and most prestigious in the country. Therefore, it’s not unusual for people without a Quaker background to seek out an education at these schools. But how does the Quaker affiliation affect the college experience at these universities? Here’s an overview of what to expect from colleges with Quaker affiliations. Colleges with Quaker affiliations can be a great higher education option for students regardless of their religious background. Student Population Size: Most of the Quaker colleges and universities in the U.S. have a relatively small student body. Campus Size: Because the student population is typically smaller, the campuses are generally smaller and more intimate. Student-to-Faculty Ratio: Many Quaker colleges have a low student-to-faculty ratio that enhances the learning experience. On-Campus Activities: Students at these schools may find that, in exchange for a smaller, more intimate campus, there are also fewer of the on-campus activities or opportunities you might find at a large public university. For example, Haverford College in Haverford, Pennsylvania, does not have any fraternities or sororities. However, this school still has over 130 student organizations, and the only varsity cricket team in the country. Students should consider both the pros and cons of attending a private institution when researching Quaker colleges and universities. 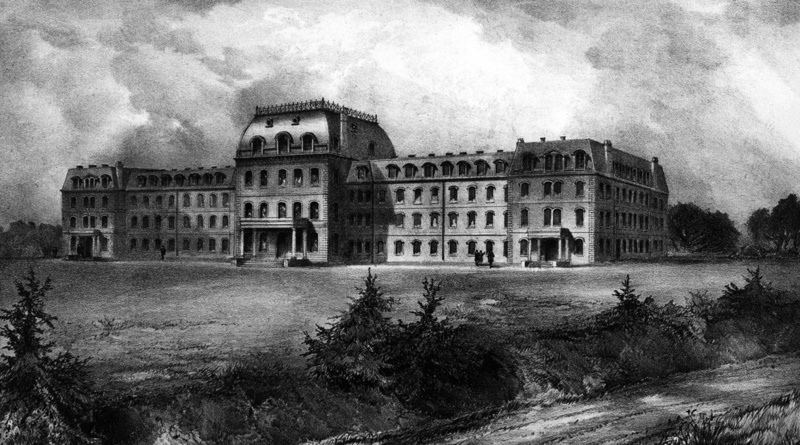 This early 19th-century wood printing shows Parrish Hall at Swarthmore College looking much the same as it does today. As mentioned above, Quaker colleges and universities are private institutions, so their tuition costs tend to be higher across the board. The plus side is that, despite higher costs, students coming from out of state won’t pay more than their in-state classmates. At Bryn Mawr College in Bryn Mawr, Pennsylvania, tuition and fees total over $43,000 per year. Fortunately, not all of the Quaker colleges are quite this expensive. For example, at Friends University in Wichita, Kansas, tuition costs around $21,000 per year. If you’re considering attending a Quaker college or university, be sure to determine whether you will be able to afford attending that school. Many of these colleges offer generous financial aid packages, so don’t rule any particular school out without first looking into these options. 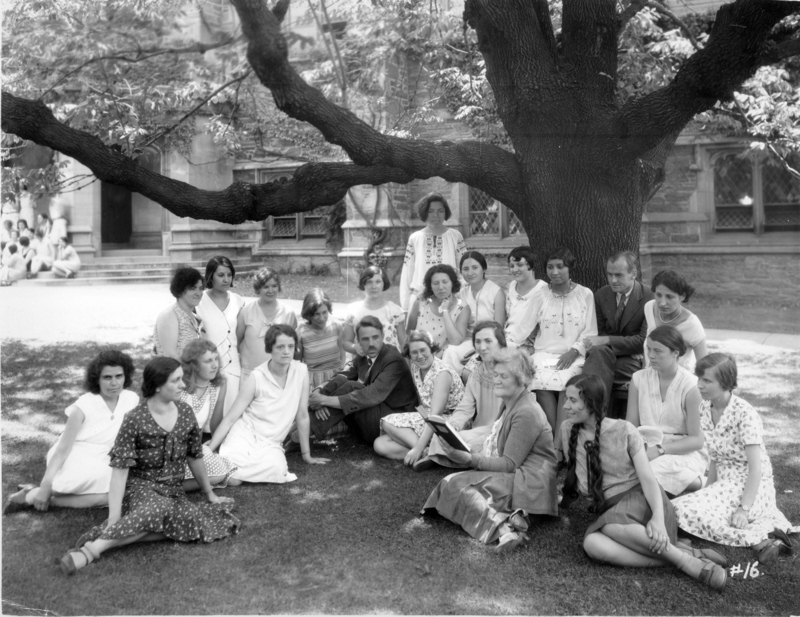 During the beginning of the 20th century, Bryn Mawr University sponsored a summer school for local factory workers -- most of whom were women. Since multiple Quaker colleges are located in Ohio, Indiana and Pennsylvania, there’s a good chance that you’ll end up in one of these states if you choose a Quaker school. There are actually four of 15 Quaker colleges located in Pennsylvania alone. However, additional options in other areas of the country give you opportunities to live in other states as well. Whittier College was founded in 1887 by the famous Quaker poet, John Greenleaf Whittier. Whittier's sports teams are still known collectively as the Poets. It’s worth noting that the top three nationally ranked Quaker schools (Swarthmore, Haverford and Bryn Mawr) are part of the Tri-College Consortium, allowing students at these colleges to take classes at the partnering institutions. In addition to these nationally ranked schools, other Quaker colleges and universities have earned top spots in regional rankings. If a challenging academic environment is something you want out of your college education, any of these Quaker schools could be a great option. The Haverford faculty of 1865 relax in the Philips Library. The Quaker faith is applied in different ways among these Quaker-affiliated colleges and universities. While some don’t incorporate religion today, others still maintain the Christian values first instilled at their institution by this group. George Fox University, for example, calls itself a “Christ-centered university” and makes it a priority to help students develop spiritually. Students at Guilford College experience the five “normative” Quaker testimonies (integrity, simplicity, equality, peace, and direct and immediate access to God) as part of their curriculum. On the other hand, Swarthmore College was founded by the Quakers but maintains no religious affiliation today. Each school chooses to implement their Quaker association in its own way, so students considering these colleges should look into how the Quaker faith might affect their educational experience. Colleges with Quaker affiliations can be a great higher education option for students regardless of their religious background. Consider the important factors mentioned above if you’re thinking about applying to a Quaker institution for college.